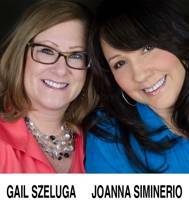 Gail and JoAnna's Real Estate Thoughts: Shop Till You Drop at Freehold Raceway Mall! Located at the intersection of Route 33 and Route 9, Freehold Raceway Mall is a super-regional, high-end shopping mall in Freehold, New Jersey, right in the heart of Monmouth County. Managed by The Macerich Company, Freehold Mall is currently the second largest shopping mall in New Jersey. An outdoor lifestyle addition, built in 2007, made Freehold Raceway Mall the only mall in New Jersey to have both indoor and outdoor shopping areas. Freehold Raceway Mall owes its success, in part, to the strength and dependability of its anchor stores which include Macy's, Nordstrom, Lord & Taylor, Sears and JCPenney. In addition to the large department stores, Freehold Raceway Mall also offers plenty of shopping choices for all your retail needs. Young or old, boy or girl, there's something for everyone! When it comes to eating The Freehold Raceway Mall offers many options from a sit down meal at Ruby Tuesday's to grabbing a pretzel at Auntie Anne's. Nordstrom Cafe is a crowd pleaser for something in between. Whether you live in Marlboro or Manalapan, or Freehold or Howell, Freehold Raceway Mall is a great option for all your shopping needs. Beautiful! And it's great to have the indoor/outdoor shopping option! Like to go there sometime.